If you are interested in starting up your own business but are a bit short on funding options, venture capitalists may be just what you need to get the ball rolling. Offering funding services for hundreds of startup companies for many years, company such as Y Combinator and Seedcamp provide a valuable service that you should definitely look into. In this comparison article, we compare the relative benefits and drawbacks of each. 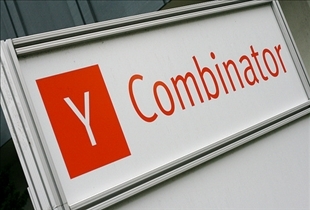 Y Combinator is a seed-stage startup funding company based in the United States. Formed in 2005, Y Combinator was co-founded by Paul Graham, Robert Morris, Trevor Blackwell, and Jessica Livingston. Seedcamp is a project established to provide funding and networking support to young European entrepreneurs. The company works in a similar fashion to Y Combinator. Y Combinator basically provides seed money and even advice and connections to startups by way of two annual programs that last for 3 months. In exchange for its services, Y Combinator takes an average of 6% of the equity in the company it is funding. 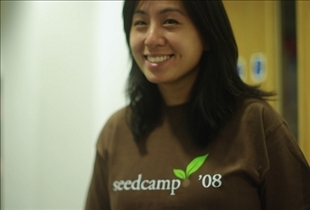 Seedcamp provides funding via Mini Seedcamps that are held several times a year, as well as via the Seedcamp Week, which is held every September in London. Company events typically include 20 startup teams that are selected from all over Europe, each of which attend the event in order to vie for funding, and to make connections with a variety of international companies. Each startup is also provided with anywhere from 60 to 80 "mentors". Y Combinator actually provides very little funding compared to other startup firms. Startups with 2 founders are given only $17,000 for instance, while those with 3 or more founders are given $20,000. This reflects Graham's idea that free software, dynamic languages, Moore's Law, and even the Web itself has resulted in much lower startup requirements than in previous years. Seedcamp on the other hand provides as much as €50,000 per team, which serves as living and operational expenses in London for a period of three months. In exchange, Seedcamp gets a minority stake in the company, often valued at 8% to 10%. This reflects the company policy of nurturing startups at the early stages without burdening them with stringent terms. While Y Combinator and firms such as TechStars have been a source of inspiration in many ways, Seedcamp employs a markedly different approach, particularly in terms of being a collective as opposed to an undertaking by members of the venture capital community. In addition, the company also employs a set of procedures that are better suited to the specific concerns of European entrepreneurs. Which funding source gets better results?